The provocative documentary “Merchants of Doubt” raises questions and concerns surrounding the media’s deliverance of “truth.” The documentary, directed by Robert Kenner, was screened on Nov. 3 at Kresge Town Hall to raise awareness about climate change. “This movie is the perfect example of what the fossil fuel industry does to make sure that it continues to be something that society relies on and something that promotes really harmful activities to both human communities and the environment,” said Fossil Free UC Santa Cruz member and organizer of the screening, Cormac Martinez Del Rio. “Merchants of Doubt” reveals the business practices of industry-leading companies and corporations by unveiling the deception of its scientific claims. The documentary revealed that companies like Exxon Mobil funded organizations to deny the existence of climate change and discredit scientists. Similar to the tobacco industry’s denial of scientific data proving cigarettes are harmful to health, the film showed how the fossil fuel industry pays deceivers who present the media with doubt about any effect on climate change. Martinez Del Rio said the purpose of the film’s screening was to draw the connection between the fossil fuel industry’s misinformation about climate change and Fossil Free UCSC’s campaign that demands the UC regents to divest from fossil fuel industries. “We’re a group of students demanding that the UC regents divest the $3 billion invested in fossil fuels and reinvest that money in sustainable solutions to climate change, renewable energies, etc.,” Martinez Del Rio said. 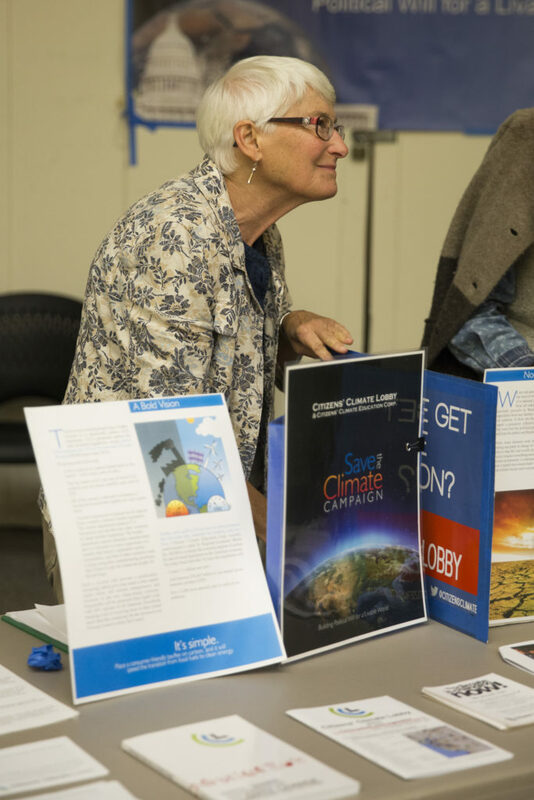 Co-sponsors of the film screening event included UCSCs Sustainability Office, 350 Santa Cruz, Fossil Free UC Santa Cruz, Citizens Climate Lobby of Santa Cruz, UCSC environmental studies department, UCSC Common Grounds Center and the Santa Cruz Sierra Club. Citizens Climate Lobby member Surrey Kent acknowledged the importance of reaching out to a student body population about the changing environment.